Ayurveda promotes the use of specific sounds and mantras to transform, balance and heal particular parts of the body, the subtle body and the mind. Sound therapy is utilized primarily for the mano vaha srotas (the channels of the mind) that govern the function of the brain, nervous system and chakras. We receive neurological impulses from the senses that spark feelings, thoughts and emotions through the movement of prana – the life force, the flow of communication between the cells. Since these impulses come to us through time and space, there is the possibility that they may actually distort the truth of what we are experiencing into a manifestation of our past memories, judgments and misperceptions. However, if we bring awareness into the experience with a balanced body, the light of consciousness will allow us to see present circumstances as they truly exist, with clarity and freshness. Immunity is a good example of clear communication between prana, cell and mind. In Ayurveda, the mind is comprised of the five elements (ether, air, fire, water, earth) and their subtle expressions: sattva (clarity); rajas (activity) and tamas (inertia). Each individual possesses his or her own dosha – or constitution – (vata, pitta, kapha). Vata is composed of ether and air and is more rajasic and less sattvic. Pitta is fire and water, with the potential for more sattva and less rajas. Kapha is water and earth, and is more tamasic, less sattvic. Unique tones, sounds and vibrations are prescribed to transform discord into harmony based on these qualities of the mind and the elements of the body in need of balancing. Sound consists of ether, which contains the properties of all five elements. Mantras used to balance the different doshas will possess the same qualities required to harmonize the qualities of the particular dosha. Vata is primarily cold, active and sensitive, and those with this dosha will benefit from sounds that are warming, calming, gently rhythmic and soothing. Pitta’s qualities of hot, sharp and intense will be harmonized by cooling, beautifully rhythmic and compassionate sounds. Kapha, which is cool, dull and sluggish, will balance with warming, stimulating, fast rhythm and uplifting sounds. Through prana and vibration, the physical body and mind are connected to the chakra system. Unresolved thought and emotion crystallize, stagnate the pranic flow of intelligence to the chakras, which in turn affect their correlating bodily centers. For instance, if constant vibrations of hate, anger and judgment are attacking the heart, then the anahata heart chakra becomes depleted and depressed. This condition affects the cardiac plexus and may lead to heartache and heart disease. Remedies through sound for the heart chakra and the physical heart are vibrations of love and compassion. Potent bija (seed) mantras associated with each chakra may also be used. The bijas ‘Yam’ and ‘Kreem,’ when chanted with love and focused on the heart center, will remove the blockages, dissolve the emotional crystallization and support a happy, healthy heart. 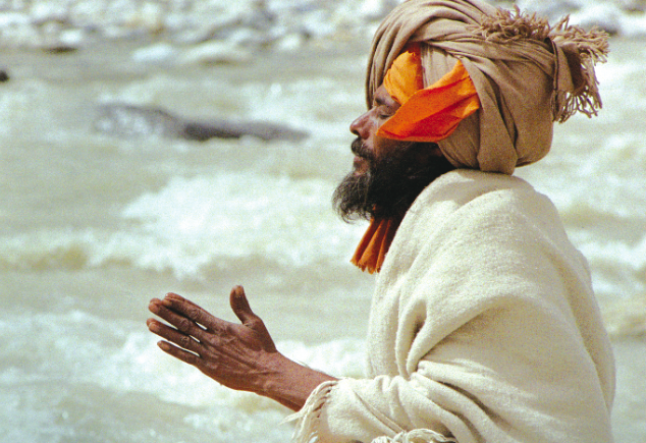 Mantras are the manifestation of the ultimate Spirit. It is said that they are mantra devata, Matrika, the Mother of all, whose substance is the letters and their vibrations. They must be respected, pronounced properly, used with pure intention and utmost care. They are described in a scripture as “words that do not cause distress, truthful, agreeable and salutary.” Therapeutically, using the qualities of vibrations through sound, instruments and mantras absorb the mind’s incessant thought waves that disrupt a state of silence and peace, increase intelligent communication between the cells and assist one in awakening in the awareness of truth, consciousness and bliss.